The U.S. Senate’s top Democrat said Sunday he would "do everything in my power" to support the White House’s Iran nuclear deal, becoming the 27th Senate Democrat publicly to voice support for the deal that lifts sanctions against Iran in return for capping the country’s ability to develop nuclear weapons. 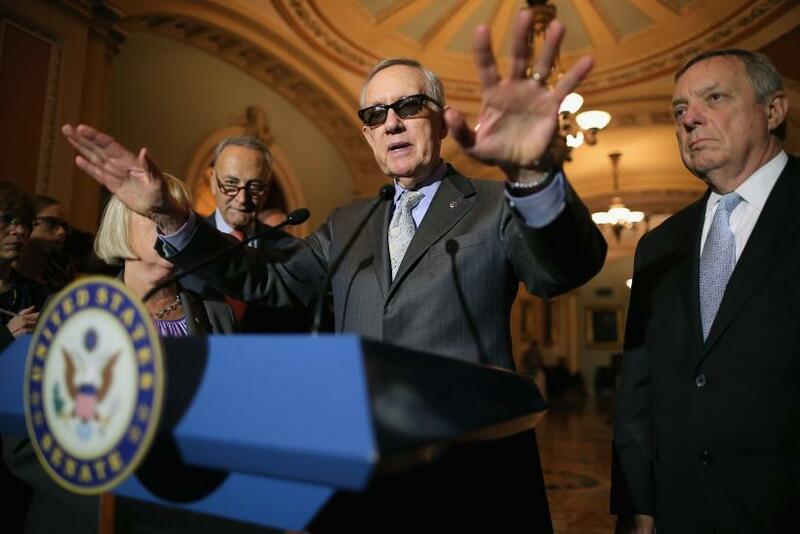 Senate Minority Leader Harry M. Reid told the Washington Post he was “cautiously optimistic” Senate Republicans would not have enough Democrats on their side to block President Barack Obama’s deal. “I’m going to do everything in my power to make sure the deal stands,” he said. So far, Sens. Charles Schumer of New York and Robert Menendez of New Jersey have been the only two Democratic senators to come out against the deal. “After deep study, careful thought and considerable soul-searching, I have decided I must oppose the agreement and will vote yes on a motion of disapproval,” Schumer said earlier this month. Fifteen Senate Democrats have yet to make a stand. All 54 Republicans and 13 Democrats would have to vote in favor of blocking the deal, which would require Obama to veto the resolution, something the president would like to avoid. Reid said he’s “still hopeful” there are 41 Senate Democrats in favor of the deal, which would allow them to filibuster the resolution, avoiding a presidential veto. “I urge strongly that Congress support this agreement,” Brent Scowcroft, national security adviser to Presidents Gerald Ford and George H.W. Bush, wrote in an op-ed piece in the Washington Post Sunday. Critics of the plan, including Schumer, Republican lawmakers, the pro-Israel lobby and many social conservatives say they believe the deal doesn’t offer nuclear inspectors enough access to Iran’s suspected enrichment facilities, and that it guarantees Iran eventually will have nuclear weapons, which would profoundly alter the geopolitical dynamics of a tense region where Israel is widely believed to be the sole nuclear power in the region.